On October 26th, 2012, the Supreme Court of Canada released their ruling in R. v. Boudreault 2012 SCC 56, clarifying the elements of proof required to show that a person is in “care and control” of a motor vehicle for the purpose of establishing that they were driving while impaired. On a cold February morning, Mr. Boudreault was found sleeping in his parked vehicle by police officers and was charged with, among other things, impaired operation of a motor vehicle. He was seated in the driver’s seat with the engine running. Prior to his arrest, Mr. Boudreault had consumed a large quantity of alcohol at a local bar the night before. While at the bar, he met a woman and spent the remainder of the evening at her apartment. The following morning, Boudreault, still too drunk to drive, asked the woman to call him a cab, which she did not once but twice. Eventually forced to leave her apartment, Mr. Boudreault decided to wait inside his vehicle for the cab to arrive. He turned on the car, turned on the heat and fell asleep awaiting the cab’s arrival. There was no question that Mr. Boudreault was still impaired by alcohol at the time the police arrived. The question for the court to resolve was whether or not he was in “care and control” of his motor vehicle, such that he should be found guilty of impaired operation of a motor vehicle pursuant to s. 253(1) of the Criminal Code. (3) in circumstances that create a realistic risk of danger to persons or property. R v. Boudreault attempts to define what creates a realistic risk of danger as opposed to a theoretical or speculative risk. The prosecutor need not prove that an accused person intended to drive the vehicle in order to make out the offence of care and control. 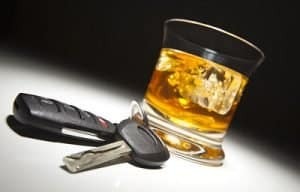 The Supreme Court recognized that an intoxicated person may accidently, or unintentionally put a vehicle in motion, thus creating a realistic risk of danger to others absent a present intention to set the vehicle in motion. (3) through negligence, bad judgment or otherwise, a stationary or inoperable vehicle may endanger persons or property. Therefore, while not automatic, Justice Fish reminds us that, “anyone found inebriated and behind the wheel with a present ability to drive will — and should— almost invariably be convicted”. 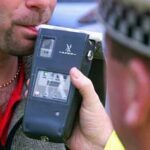 For someone found behind the wheel with a present ability to drive, the accused will need to adduce credible and reliable evidence to prove that no realistic risk of danger existed in the particular circumstances of the case in order to escape conviction. For example, it may be argued that the motor vehicle was inoperable or, on account of its location or placement, could, under no reasonably conceivable circumstances, pose a risk of danger. Likewise, use of the vehicle for a manifestly innocent purpose should not attract the stigma of a criminal conviction. In Mr. Boudreault’s case, he was able to offer credible evidence that he was simply escaping a cold winter night in a warm vehicle while waiting for a cab to pick him up. It was the existence of this “alternate plan” to get home that led to his acquittal, as he had satisfied the judge that there existed no “realistic risk” that his vehicle would be put in motion. The impact of an “alternate plan” of this sort on the Court’s assessment of the risk of danger depends on two considerations: first, whether the plan itself was objectively concrete and reliable; second, whether it was in fact implemented by the accused. In every case, this will be a fact specific inquiry. It bears repeating that most people found in the driver’s seat of a motor vehicle while drunk will face the likelihood of conviction on the basis that they were in care and control of their motor vehicle while impaired. To avoid conviction, the accused bears the onus of leading credible evidence (such as an alternate plan to get home) capable of rebutting the inference that the vehicle would be put in motion. Follow these links to learn more about impaired driving, over 80 or refusing a breath sample charges including the penalties for those convicted of DUI related offences. You can also watch Daniel Brown’s interview with CTV News on the Boudreault Case. Does ‘care and control’ apply to someone sleeping in the backseat or passenger seat with keys in pocket? It is possible for a person to be found in “care or control” of a vehicle even if they are sleeping in the backseat of that vehicle with the keys in their pocket. Each case must be assessed on their own facts.